I am not the first member of my family to serve as Australian High Commissioner to the UK. My father held the position between 1964 and 1972. You will understand the significance of that period. For the past few years of his posting my father argued, sometimes acrimoniously, with the British government about the damage the UK’s terms of accession to the EEC – as it was then called – would do to Australia. 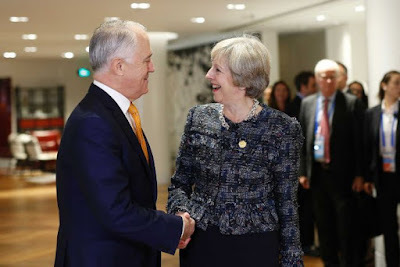 Over four decades later I am talking somewhat more amiably with Whitehall about the consequences for Australia of Britain’s departure from the EU. So there you have it. Britain’s adventure in the EU has been bookended by the Downer family. Let’s be frank. (We Australians do frank quite well.) My father’s generation was deeply hostile to Britain abandoning those Commonwealth countries which had stood by her in her darkest hour. So our dairy, horticultural, beef and lamb exports were largely replaced by imports from the EU and our citizens were sent to the “Others” queue at Heathrow. Doug Anthony, the then deputy prime minister, was so incensed that he abandoned his lifelong support for the Queen in Australia and joined the republican movement. As for my father, he finished his term in London three months before the Act of Accession came into force. He left London a sad man. I remember standing with him at the Menin Gate looking at the thousands of Australian names inscribed there. With tears in his eyes he denounced Roy Jenkins for saying he had no time for kith and kin politics. For my generation of Australians, it’s different. We haven’t had the wartime experiences of our parents and grandparents. Britain long ago withdrew from what was called East of Suez and while we and the Americans fought communism in South-East Asia, after the Sixties Britain largely abandoned that task. Britain threw its lot in with Europe. I was the Australian foreign minister for nearly 12 years. 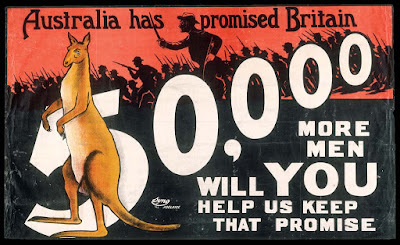 Not once in that period did a British foreign secretary visit Australia. But instead of sulking, we’ve been forging new markets in Asia and North America. It’s been hard going but we’ve stuck at it, securing free trade agreements with the US, the major economies of north Asia including China and with much of South East Asia. I can immodestly say we’ve done well. Politically, we’ve built fruitful relations with the Asean countries, we’ve forged strong ties with China, Japan and Korea and are building a multidimensional and vibrant relationship with India. Yet clever foreign policymakers know that in the era of globalisation, significant countries like Australia and the UK have global interests, not just regional interests. And in recent years our relationship has started to flourish again. Both of us have realised we can help each other, whether it’s militarily in Afghanistan or politically in institutions like the UN. We think alike on most of the great issues facing the world so it makes sense to reinforce each other when we can. Now the world has changed again. The British people have voted to leave the EU. Had he lived until June 23 2016, my father would have been so pleased. An emotional man, tears would have come to his eyes. His son is something else. I do have a heart, of course. But my head said that Britain’s departure from the EU would damage the EU: it would blow a hole in the EU’s budget and the EU would lose a member with substantial strategic reach and awesome soft power. And that would not be in Australia’s interests, which are best served by a strong UK and a strong EU. Nevertheless, once decisions are made, it is better to look to the future. So for our part, we are encouraging the UK and the EU quickly to establish a new, mutually beneficial relationship that sustains the economies and global influence of both. We are also keen to strike a free-trade agreement with the UK. That shouldn’t be too hard to do because we are like-minded free traders who know that protectionism makes people poorer and costs jobs. Finally, we have another hope: that Britain will continue to recognise it is a global power with global responsibilities, not just a regional player. If it does so, this will mean Australia and the UK finding yet more ways to work together to promote the values and objectives we share. We’ll never recreate the era my father mourned, nor should we aspire to; but we should be able to do something special all the same.